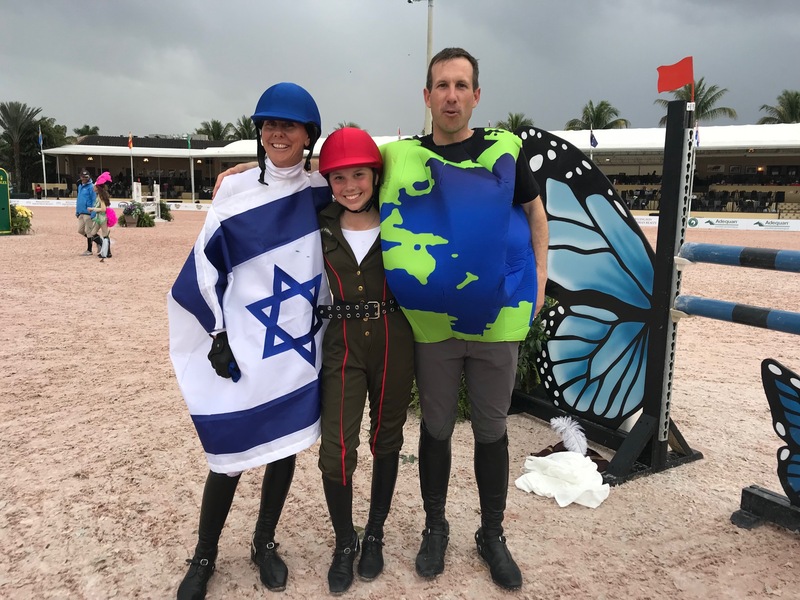 Congratulations to Emma Pell and Ari 55 on moving up to the Junior Jumpers on the 2019 Winter Equestrian Festival circuit! Congratulations to Emma Pell and F15 for many great successes in the Equitation ring in your first show season. Best of luck in 2019! 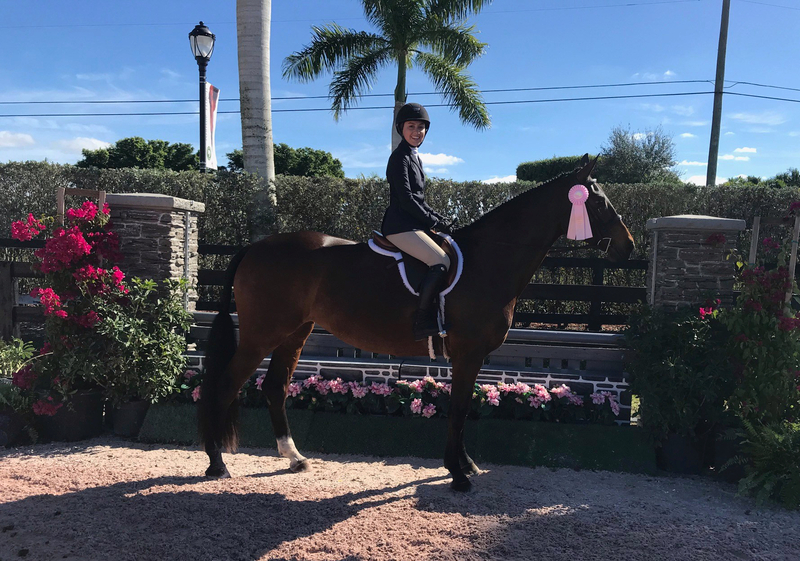 Congratulations to Leslie Kopp and Cesar VDB Z for their blue-ribbon performances on the 2019 Winter Equestrian Festival circuit. We wish you the best of luck this year as you continue your new partnership! 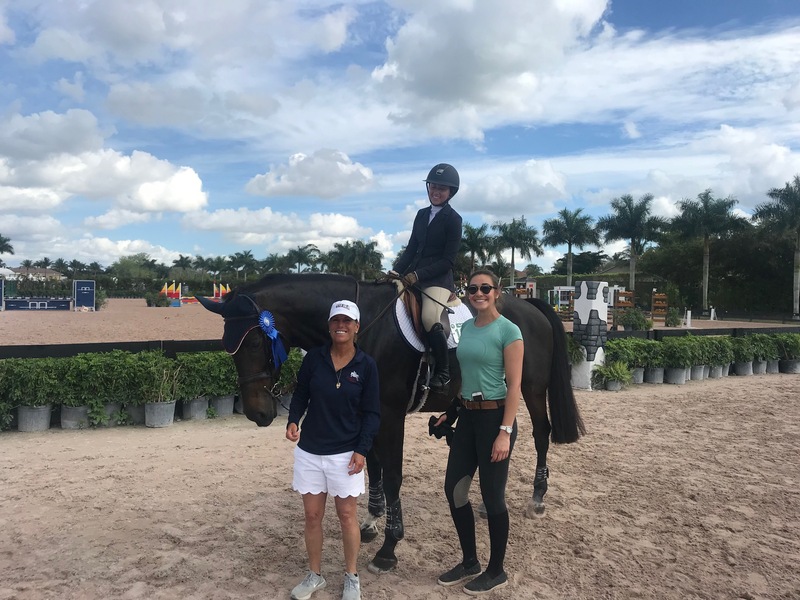 Congratulations to Emma Pell for the purchase of Santos and on your wonderful performances on the 2019 Winter Equestrian Festival circuit! 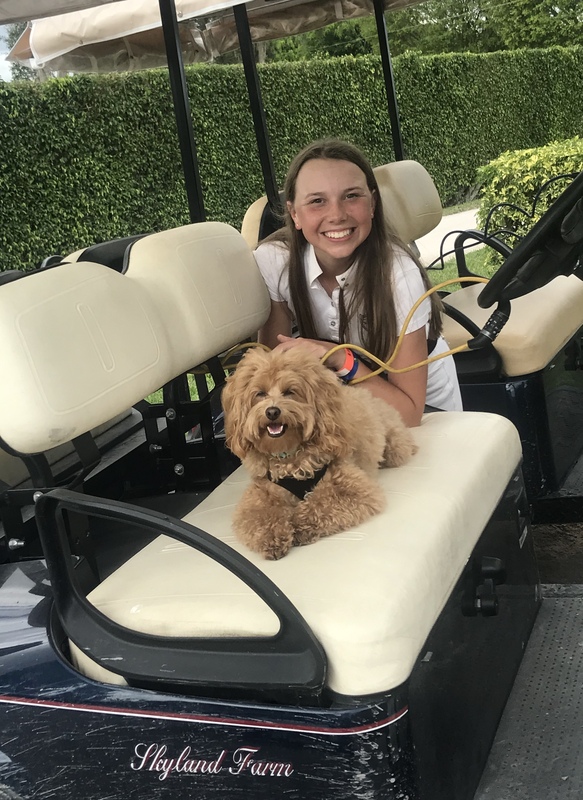 Congratulations to Leslie Kopp on a super 2019 show season so far in the Amateur-Owner Hunters with Griffin! 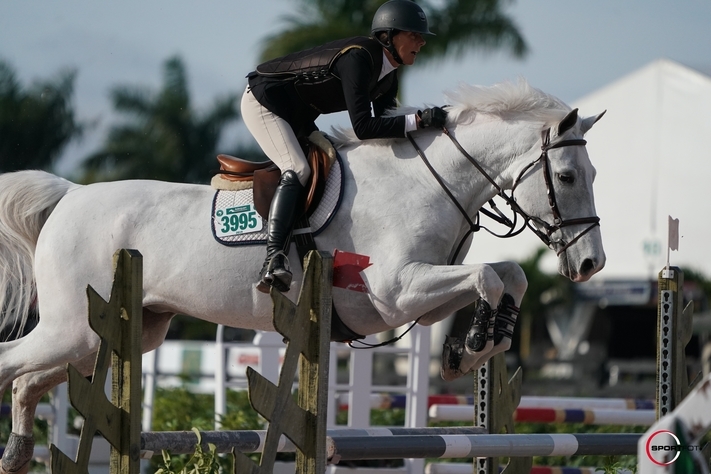 Congratulations to Leslie Kopp and El Cano for their long and fruitful partnership in the Adult Jumpers! We wish you both continued success in 2019! 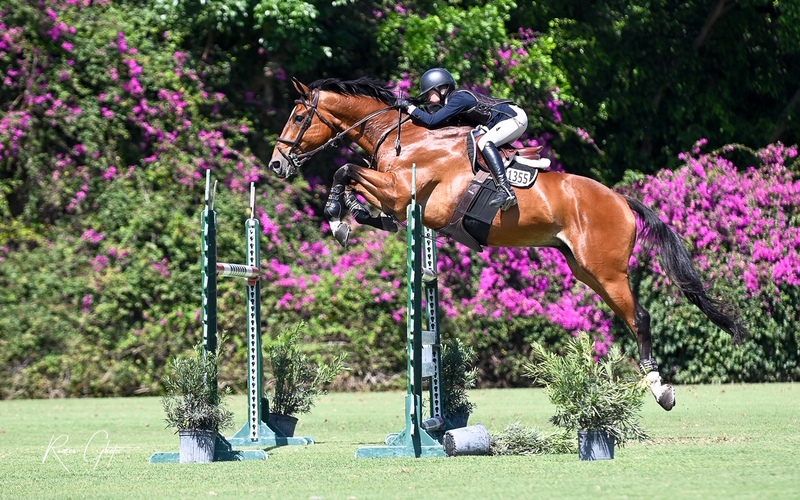 The Skyland Farm team concluded a fantastic winter season in Florida with major accomplishments during Week 12 of the Winter Equestrian Festival circuit and on the The Ridge at Wellington Turf Tour Finale, March 27-29. 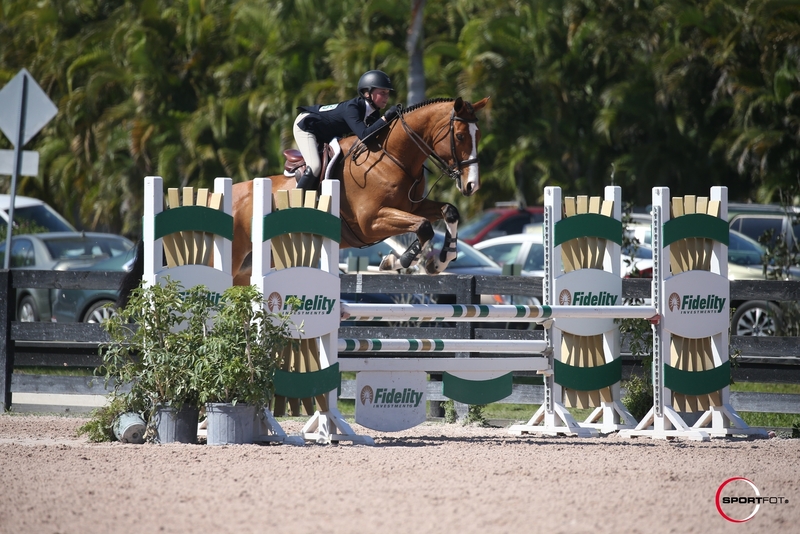 Tour on Friday, and she also earned great ribbons at WEF on Thursday in the Low Children’s/Adult Training Jumpers. Alex Tippett and P Diddy, a horse on loan from trainer Don Stewart, competed in the .80m and .90m Jumpers on the Turf Tour, winning a class in the .90m. 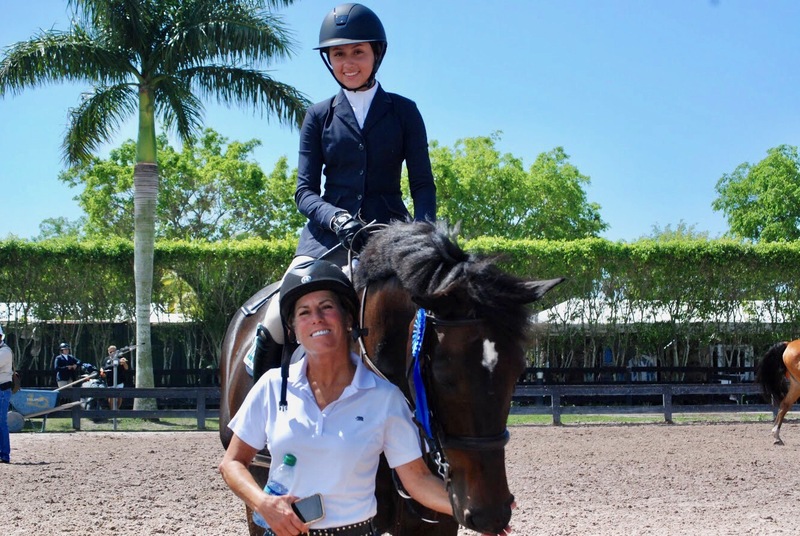 “Alex worked hard all winter, and it was super fun for her to be able to show,” said Denice. Additionally, Leslie Kopp and Griffin returned to the show ring after a month off and won their last class in the Adult Amateur Hunters with a score of 85. 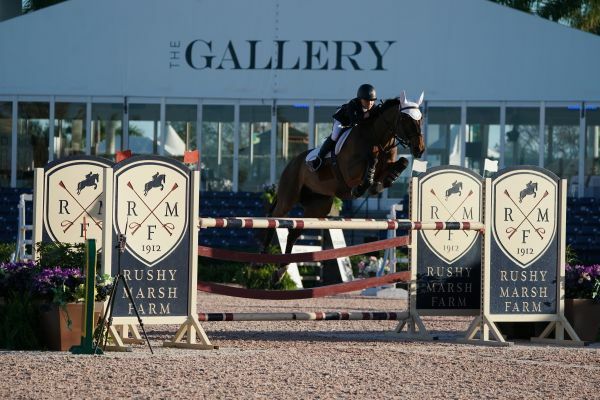 The pair also placed fifth the first day over fences in a competitive class. 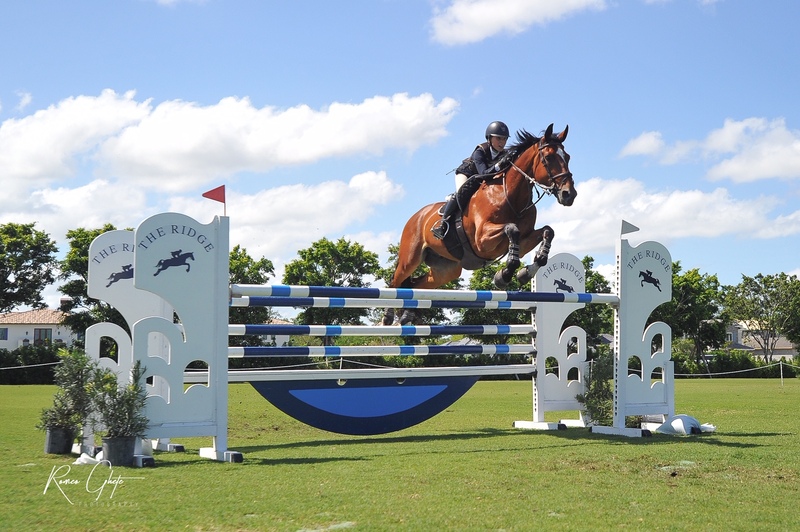 The Skyland Farm team had a lot to celebrate during WEF 11, held March 20-24 in Wellington, Florida. 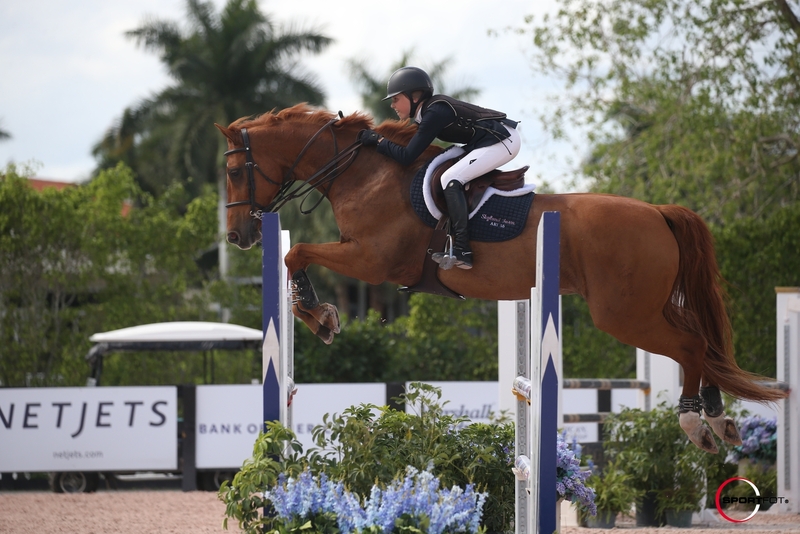 Henriette P and Stephanie Vazquez had lovely trips in the jumpers for a blue in the Training Jumpers and sixth out of 32 in the Low Children’s/Adult Training Jumper. The pair then earned another blue in the .80 Jumpers on the Turf Tour at Black Watch Farm. “They went beautifully,” said trainer Denice Perry. 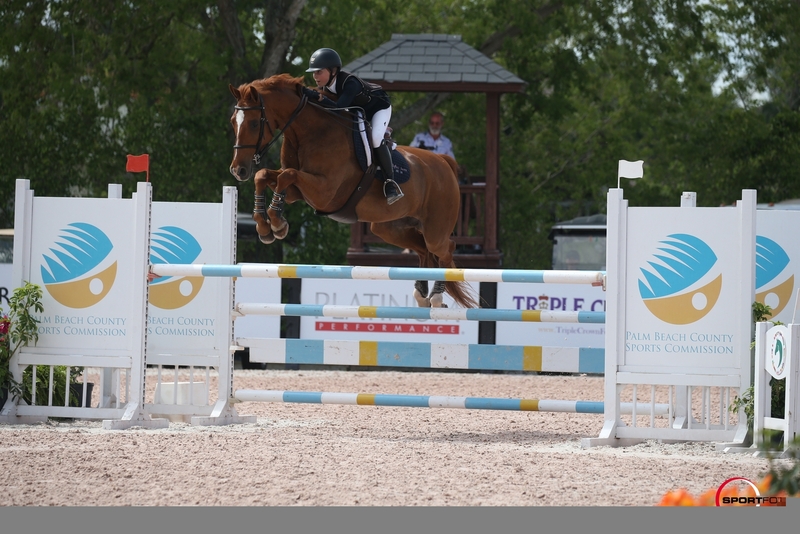 Emma Pell and her jumpers continued their consistently strong results at both venues, as well. 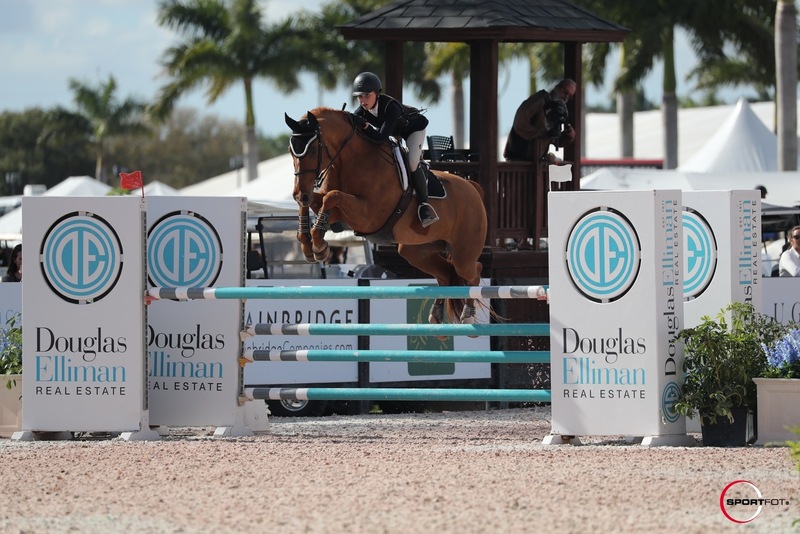 At WEF, Emma and Ari 55 placed an impressive sixth in the $10,000 NAL Low Junior Jumper Classic out of 116 entries and also took second in a Low Junior Jumper speed class in a field of 83. 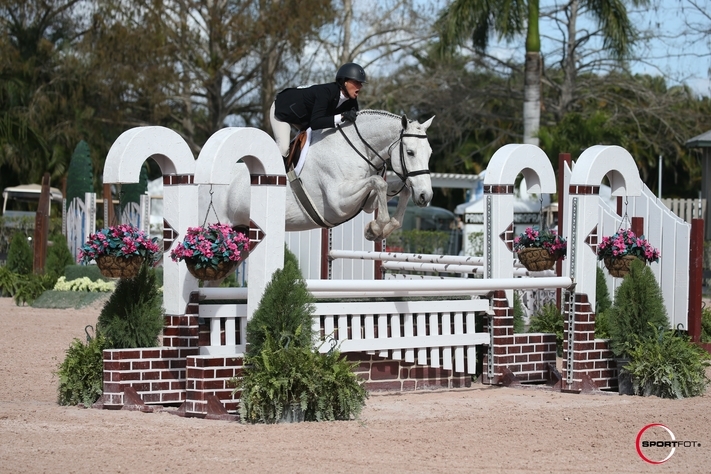 On the Turf Tour, Emma had a one-two finish in the 1.10m on grass with Ari and Santos, respectively. Emma and Santos then returned to win the NAL 1.20m Classic, with Ari picking up fourth. “Overall, we had a really fun and great week,” said Denice. 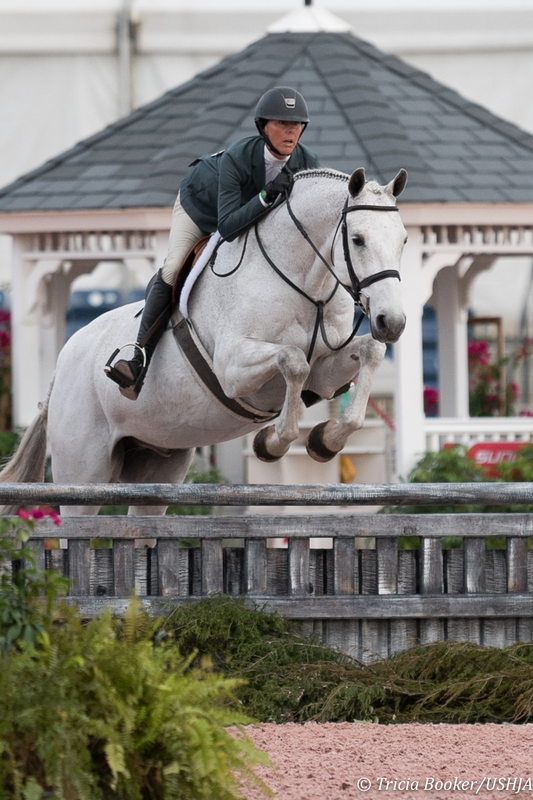 Skyland Farm enjoyed the past two weeks on the Winter Equestrian Festival circuit with more accomplishments and fun. 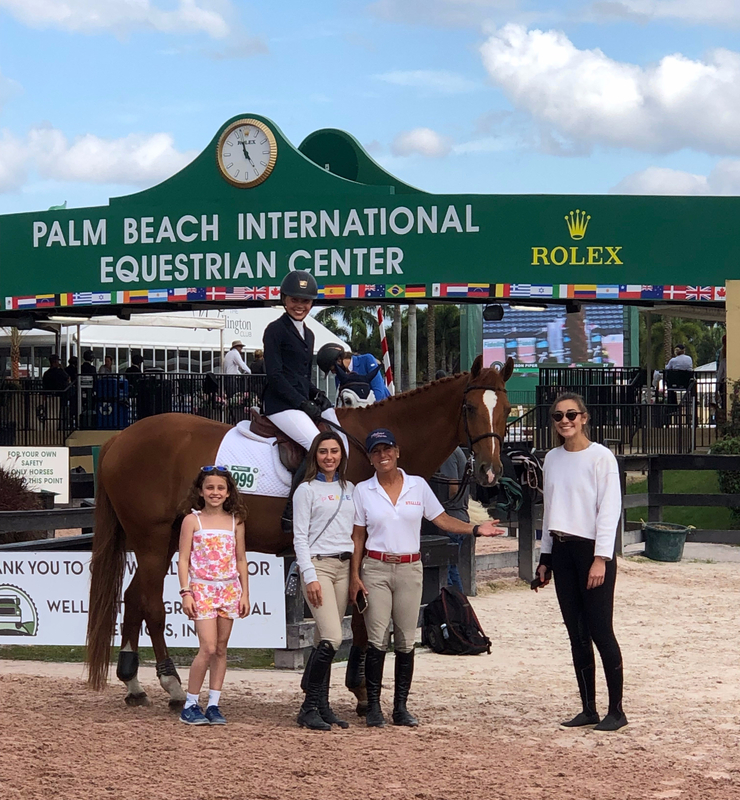 Highlights included Stephanie Vazquez and Henriette P earning a blue in the Children’s/Adult Training Jumpers with Alex Tippett as the assistant! 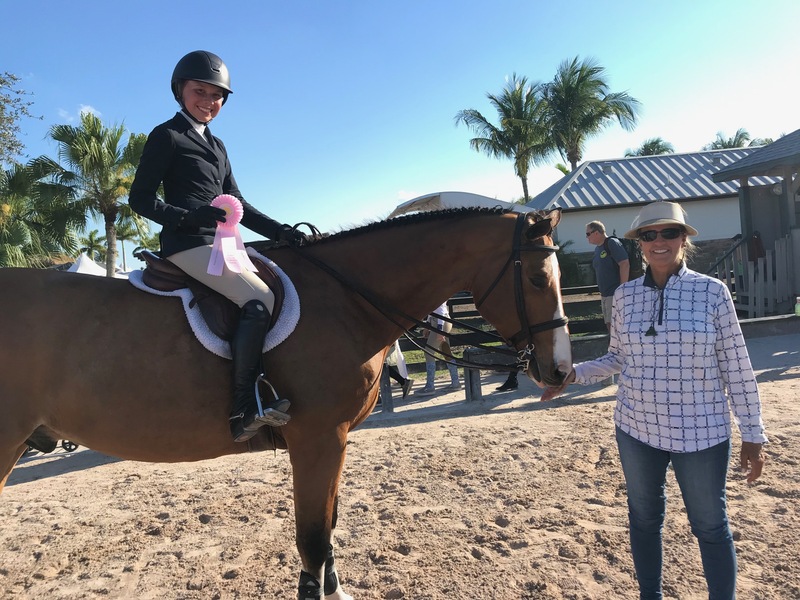 Trainer Val Renihan loaned Emma Pell an equitation horse named Flambeau for the age group 15-17 classes, and team produced a nice placing in tough company! 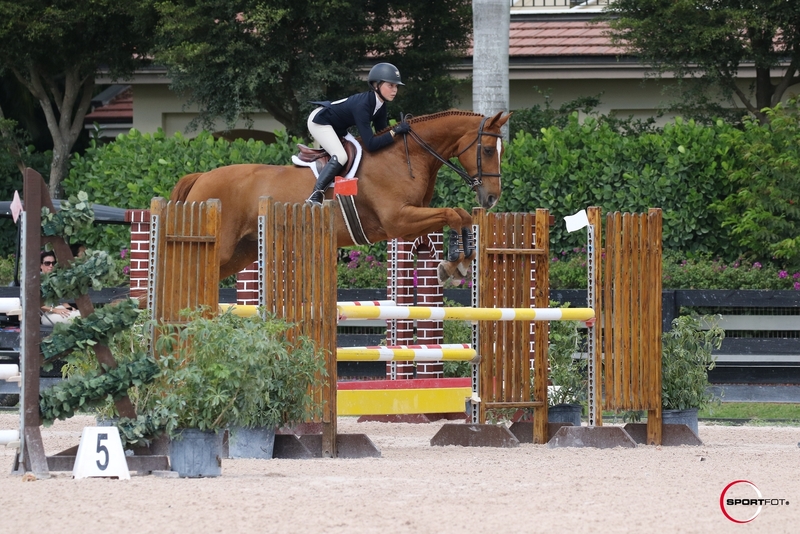 Emma and her jumpers Santos and Ari 55 kept their momentum going in the Junior Jumpers with nice double clears. Leslie Kopp, with her star jumpers Cesar VDB Z and El Cano, continued to produce lovely clear rounds in the Don Little Masters section, with more blue ribbons added to the Skyland Fam banner. Great job to everyone! Please enjoy our fun photo gallery from the past two weeks! 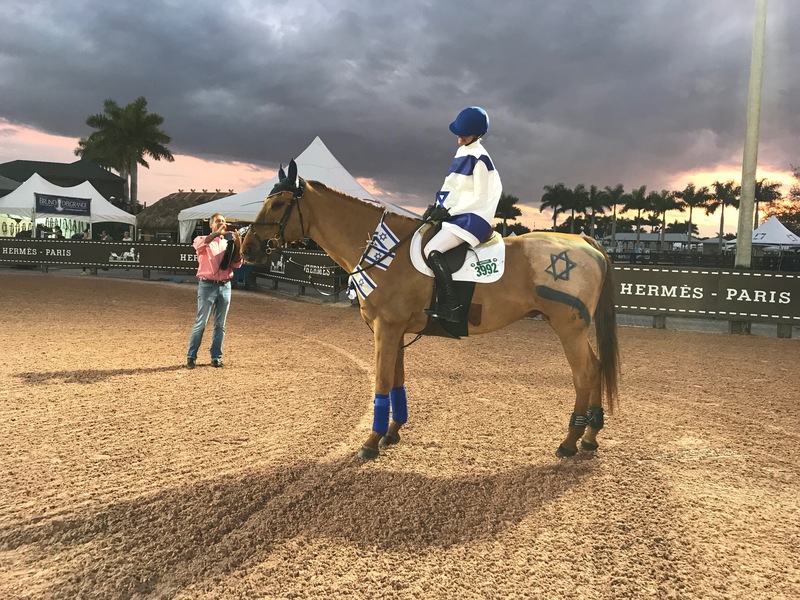 Week 6 of the Winter Equestrian Festival circuit in Wellington, Florida, was cause for celebration on a variety of fronts. 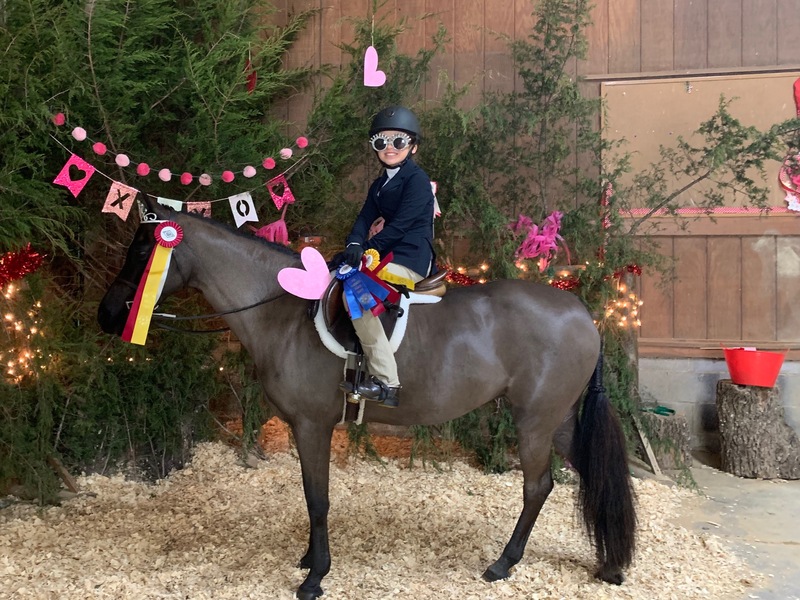 In addition to featuring WCHR Hunter Week, festivities February 13-17 included Valentine’s Day and the third anniversary of Emma Pell’s partnership with Ari 55. 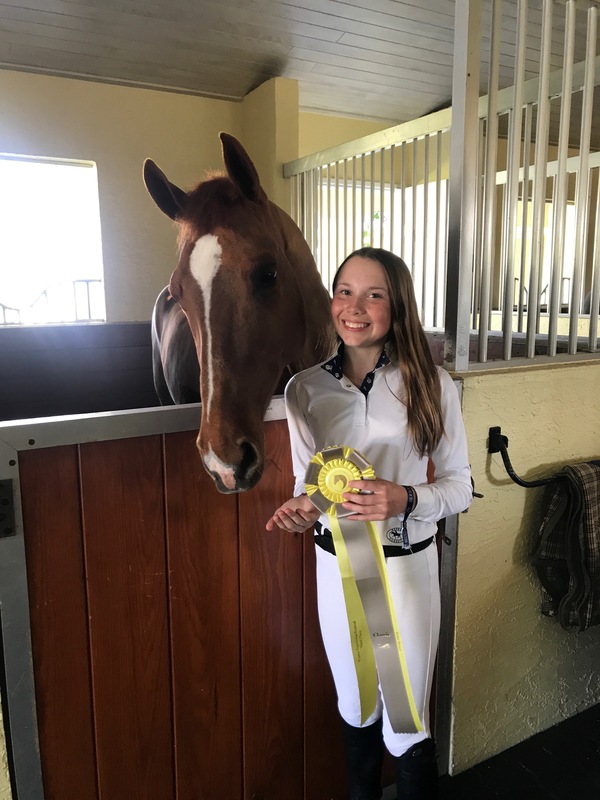 So, fittingly, the dynamic duo collected a variety of top ribbons in the Low Junior Jumpers, including third place in the hotly contested $10,000 NAL Low Junior Jumper Classic out of 92 entries. They also captured another third in a field of 74 for an impressive week. 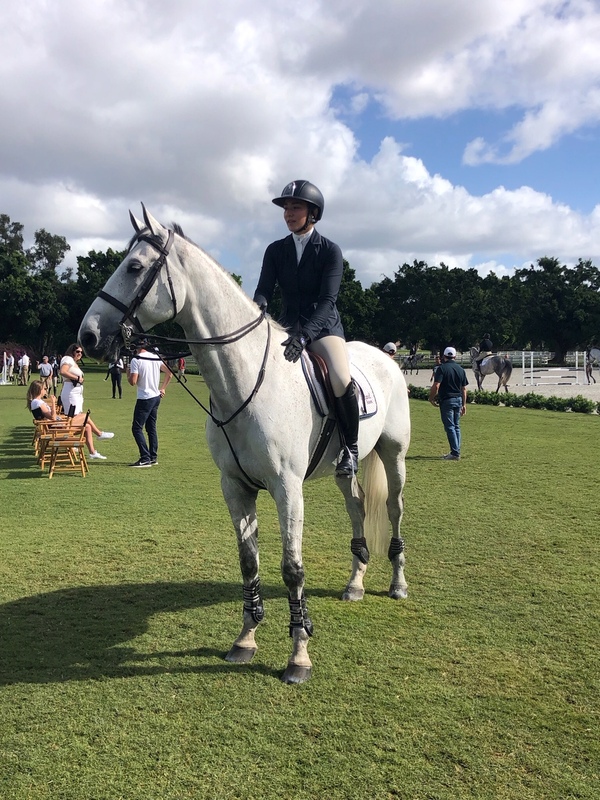 Emma also continued to collect ribbons in the Medium Junior Jumpers aboard Santos, including a sixth place in a competitive field over a 1.30m course. Leslie Kopp also enjoyed Week 6, with a blue ribbon in the Don Little Masters on a new trial horse Colibri. 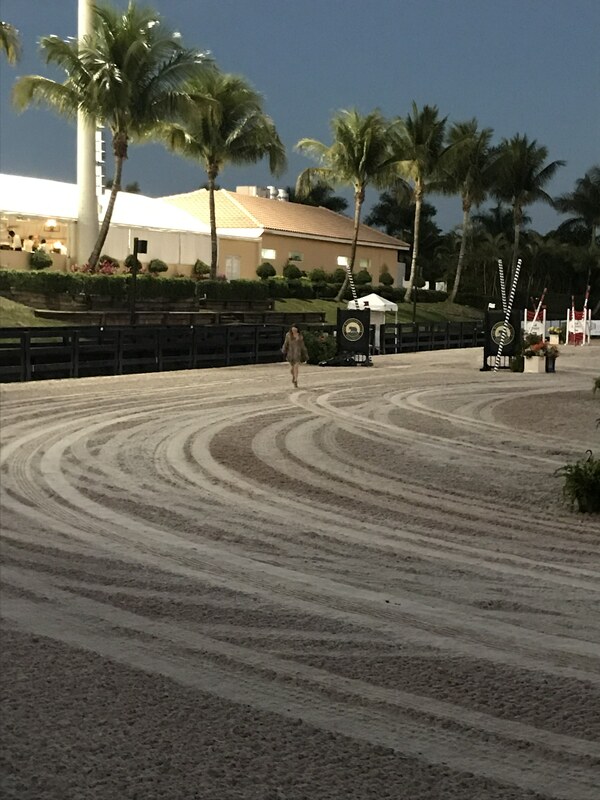 She also competed in the 3’3″ Amateur-Owner Hunters with Griffin and Fenwick, taking the rare opportunity to gallop around the International Ring where the top jumpers usually perform. 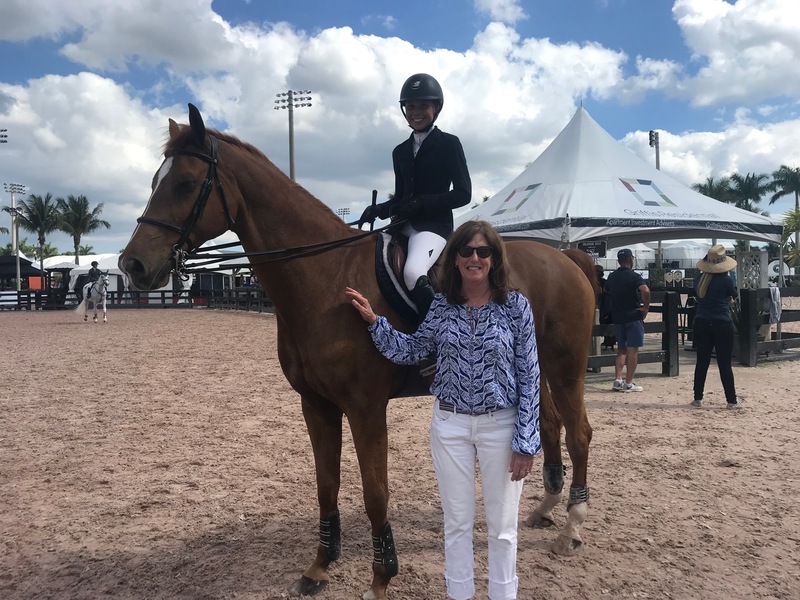 Foxcroft School administrator Beth O’Quinn also visited this week from Middleburg, Virginia, and was able to watch student Emma in the Junior Jumper Classic. In addition, Denice and Roy Perry enjoyed dinner in Palm Beach with Brandon and his wife, Kristie. 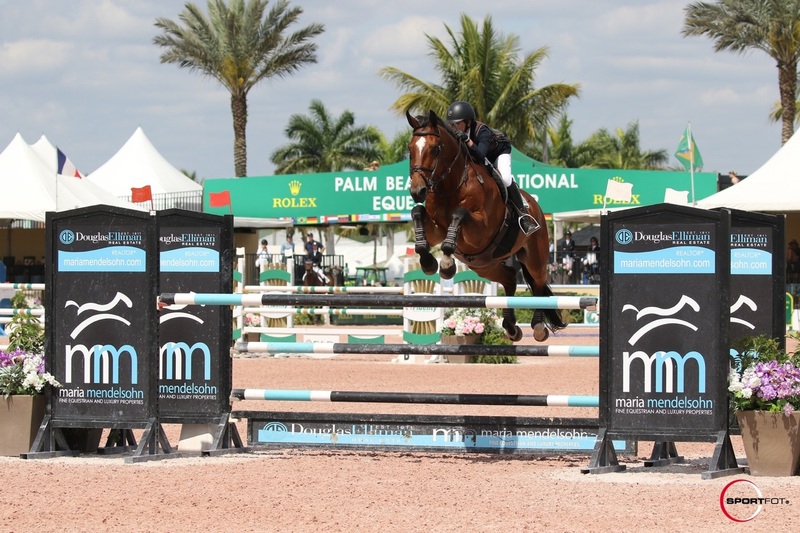 It was a fun and successful week and marked the halfway point of the WEF circuit! 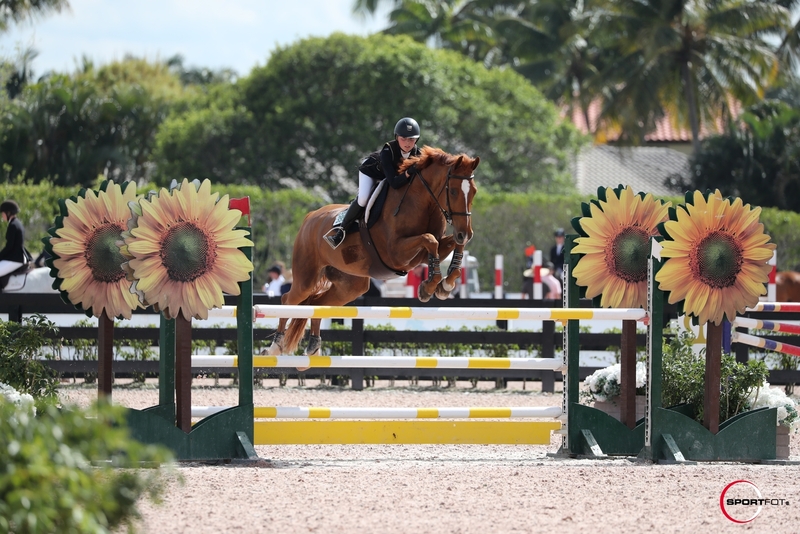 Emma Pell and Santos stepped up to the Medium Junior Jumpers (1.30m) with much success during WEF 5, held February 6-10 in Wellington, Florida. 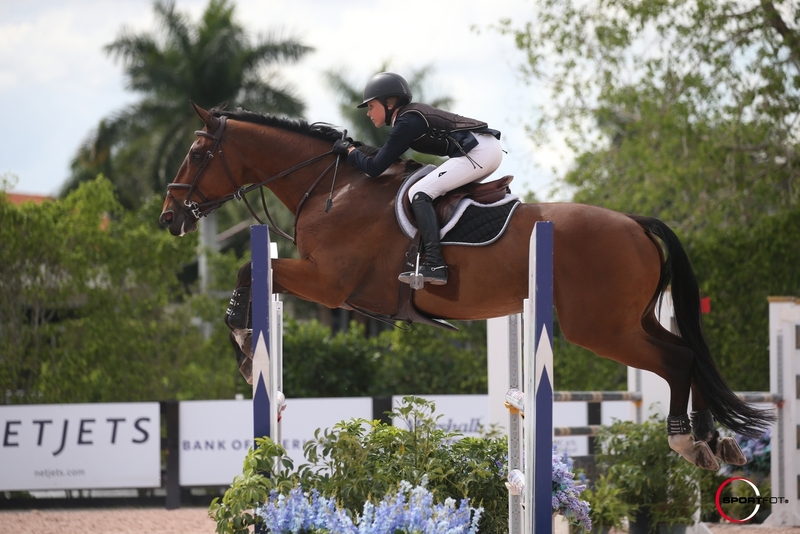 The pair earned ribbons in every class, including ninth in the $10,000 NAL Medium Junior Jumper Classic in the International Ring during their first time together over a 1.35m course! Emma and Ari 55 also moved up this week, making their debut in the Low Junior Jumpers (1.20m) with a fifth place out of 43 in one class. Leslie Kopp and Griffin had a special first day in the 3’3″ Amateur-Owner Hunter, 36 and over, section, scoring a set of 84s in both classes. The pair captured fourth place in the Handy for their excellent performance. Leslie and Cesar VDB Z also had one blue ribbon in the Don Little Masters Adult Jumper section. 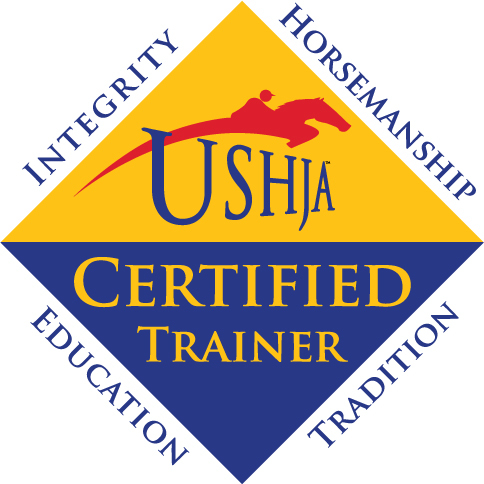 Additionally, Stephanie Vazquez had a couple of super under saddle ribbons in tough USHJA and Low Adult Hunter classes aboard Creme De La Creme RLF. 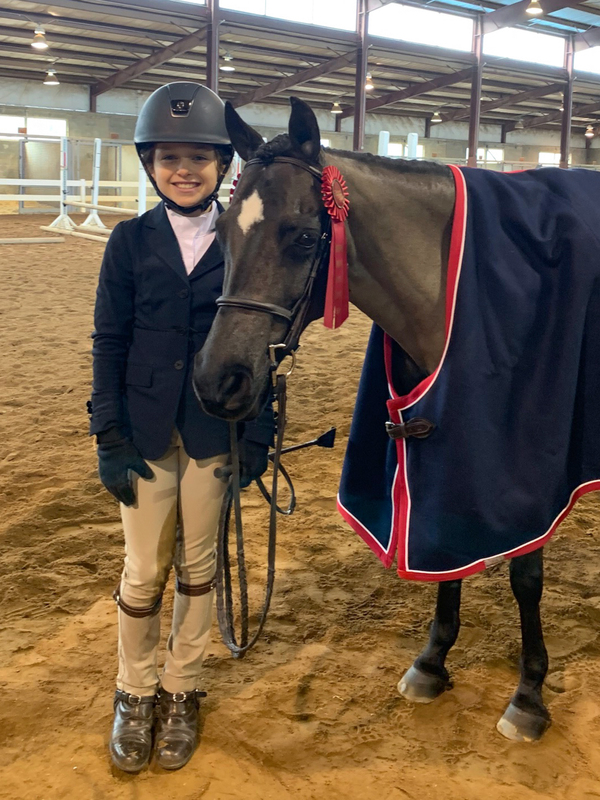 Back home in Virginia, Mosie Pennington continued her excellent performances in the Small Pony Hunters, with the reserve championship at The Barracks aboard Dreamscape. Congratulations to all on a successful and fun week of showing with these wonderful horses! 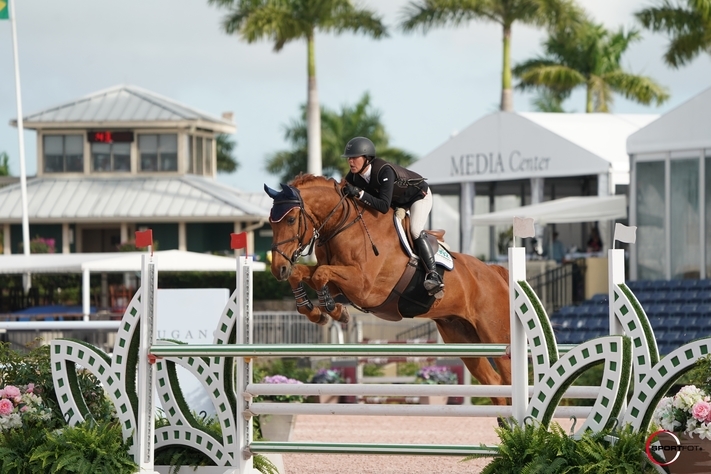 Please enjoy our Photo Gallery from WEF 5! The team from Skyland Farm made their presence known at the Piedmont Jumper Classic, held September 20-23 at the Salem Farm Show Grounds in Upperville, Virginia. 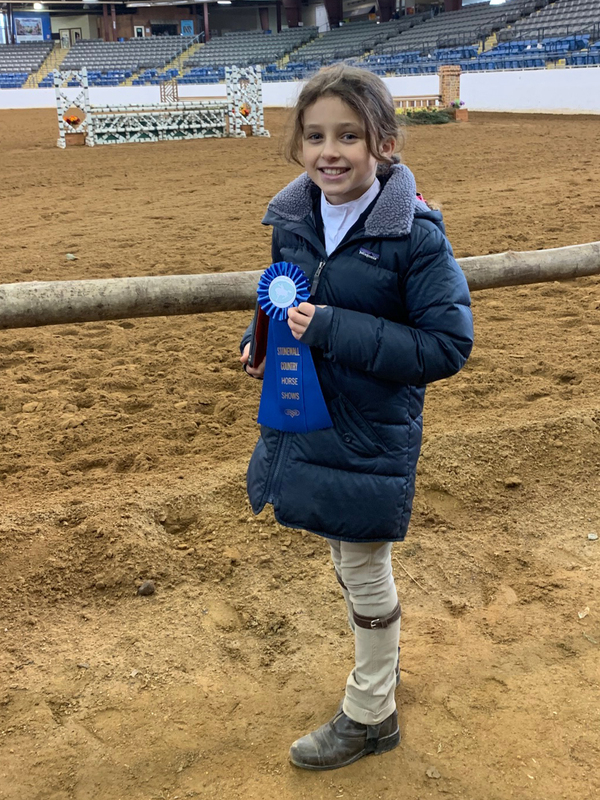 Emma Pell captured the High Children’s Jumper championship aboard Ari 55 and then made her debut with her new horse Santos, taking two blue ribbons, one in a High and a Low Children’s Jumper class. 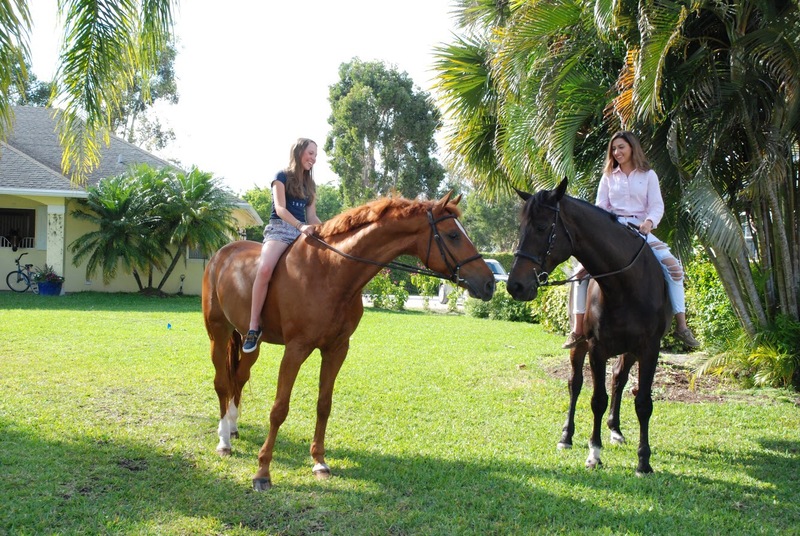 Leslie Kopp is also forming a partnership with her newest mount, Cesar VDB Z. The pair clicked right away and won two 1.0m Jumper classes. Leslie also earned ribbons with her veteran El Cano in the High Adult Jumpers. 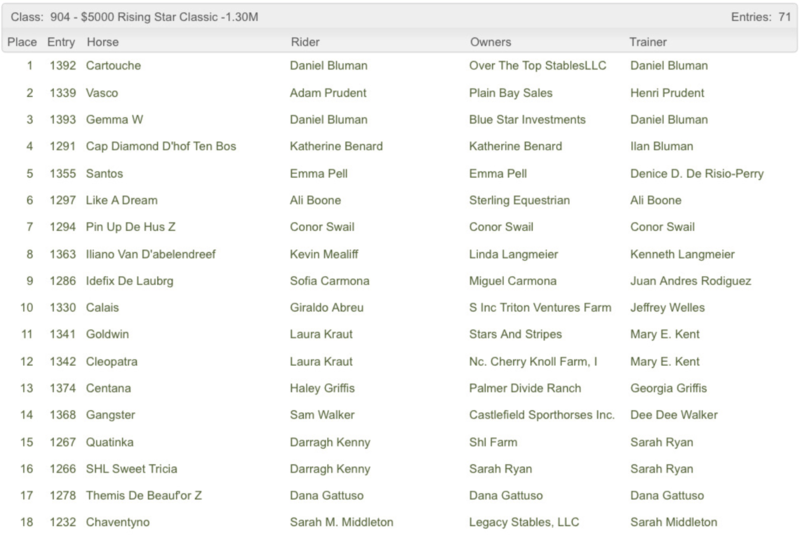 Special thanks to Plain Bay Sales for Cesar and best of luck to Leslie with this wonderful horse in the 2019 season! Michele Trufant enjoyed a successful show. She and her Thoroughbred gelding Itchy Garret topped three classes in the .80 and .90m Jumpers and earned ribbons in the Low Adults. 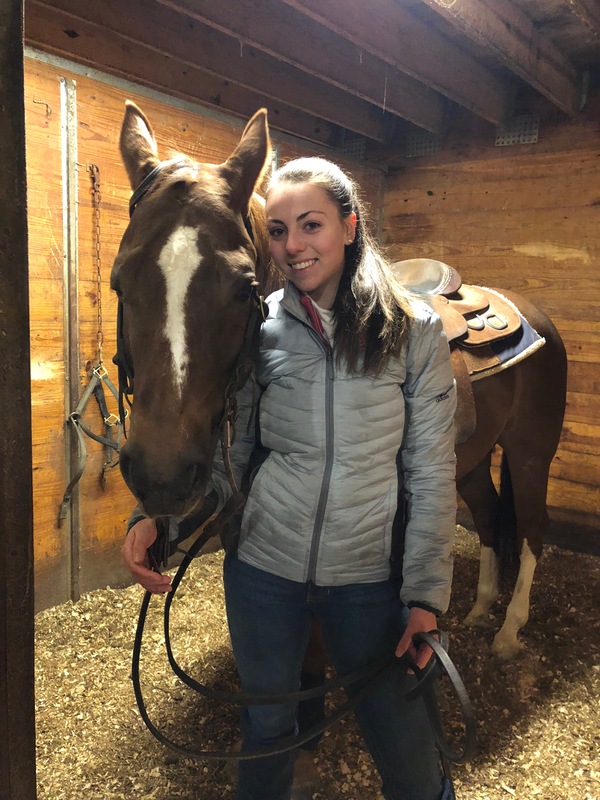 Danielle DeRisio took a break from her freshman year in college to ride Cirena to the Low Children’s Jumper reserve championship. 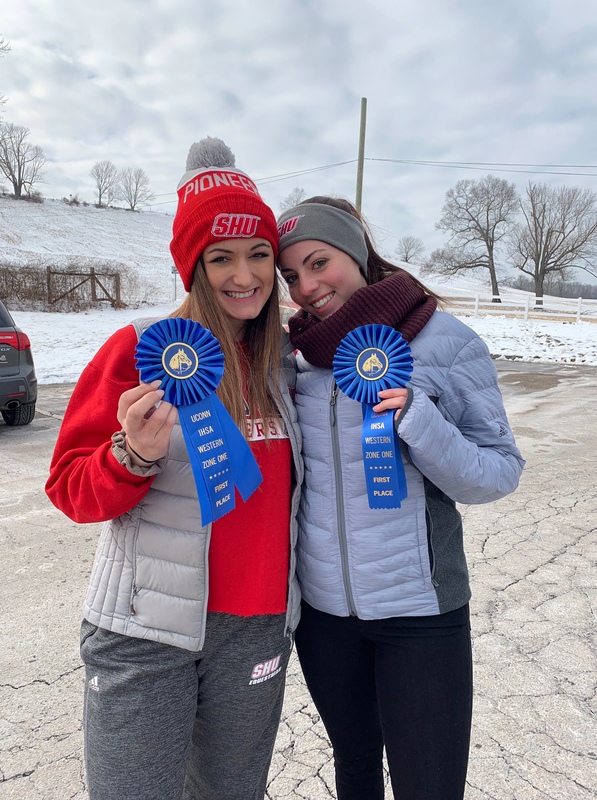 The duo earned two blues and third place in the Low Children’s Jumper Stake for a banner weekend. Kaylin Dines rode a picture perfect round aboard Why Not to speed to second place in the NAL/WIHS High Adult Jumper Classic in a very competitive class.